The mere prospect of braving hordes of shoppers -- bleary-eyed and reeling from too much turkey -- in the early hours of Black Friday is enough to send anyone into a cold, sweaty panic. 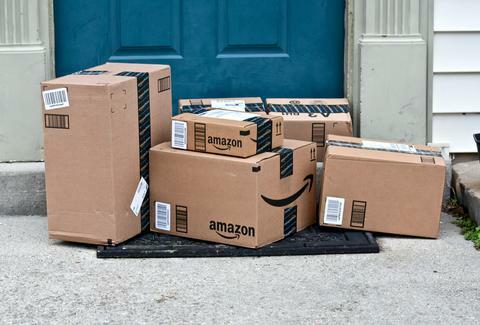 Mercifully, Amazon is taking a bit of the pressure off this year by not only previewing a whole bunch of its Black Friday sales early, but also unleashing many of them throughout the week leading up to it. And the best part is, you don't even have to leave your couch to get in on the action. On Tuesday, the company teased a sneak peek at some of the discounts it has in store, many of which will be available "on various dates and times" starting Friday, November 17, and running through the end of Black Friday on November 24. We've rounded up the highlights, from flatscreens to smart speakers, below. If you have an Echo, Echo Plus, Echo Dot, or Tap, you'll be able to score early access to a number of the deals, too. That's because customers who voice shop via Alexa on those devices will be able to get in on some exclusively early deals starting at 5pm EST on November 22, according to a press release. Unfortunately, there's no telling what day or time the rundown of above deals will go live, or how quickly they'll sell out. Your best bet, for now, is to keep an eye on our updating list of Amazon's "Countdown to Black Friday" sales and check in on Amazon's dedicated Black Friday page whenever you have some down time.